Minutes from being executed in a war-torn country to a trek across west Africa and now to America, my life experiences has taught me how to persevere , work hard, honesty, research and be consistent in what I do. These are some of the combinations of the individual that I am. The first reason of wanting a higher level of education relates to my life history and why I am a good candidate for the Master program. I am a Liberian from a war-torn country the 13th child of 15 siblings. I graduated high school at the age of fifteen (15) in 1987. I enrolled in Cuttington University College in 1989. I was still a freshman when war broke up in my country in 1990. One day I went out in the bushes to find food to eat and was caught by the rebels and severely beaten. The only thing that saved my life, as this rebel had a knife to my throat and was about to cut off my head, was the sound of another rebel telling him that it was enough killing for one day. As I look around me there were about 12 bodies on the ground. That night, I ran and join with some 6 thousands other Liberians that were able to walk 12,000 miles to neighboring country Ivory coast, and later to Ghana where I became a refugee for seven (7) years. The fight for survival especially basic needs like food water and shelter became all that we cared about. Before the United Nation High Council for Refugee (UNHCR) could take over our daily living activities, it was 3 months of fight for survival. Many died from lack of food and sickness. Many resorted to playing sports for Ghanaians first and second division teams for food. I was one of those selected to play basketball for food. I would encourage others to train as training makes you better and gives you greater chances of being selected. I played basketball for 6 years in Ghana and my club team was champions for 3 years. As my country became ever more disarray with so many factions and no end in sight of the war, I sought different avenue to go to school or to find a better life other than being a refugee. I was told about the lottery visa program that was offered by the United States Department of States. I researched the program and played the lottery visa or DV as it is commonly called and was successful to be selected to come to America. The lessons of my life shows that I want to do everything the right way. Not cut corners nor follow others who had succeeded doing the wrong things, but rather research and work towards goals that are achievable and be honest. The second reason that I will make a great candidate is that I have been through so much in my life and I want to be able to make sure that my kids and my community can look at me as a role model for their lives. I want to be able to tell and show them how the tangible visible evidence of hard work through education can brighten one’s future. I am disciplined, good at following my schedules. I am a hard worker and I will be able to do the work for this program. Also, I will be making a family history by completing this level of education. 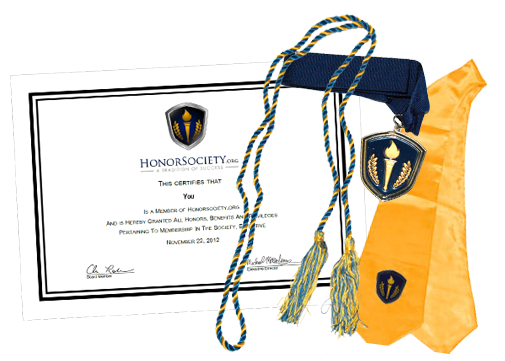 In my undergraduate program, even after years without schooling I was able to return and graduate with honors. The third and final reason I want to upgrade my education is because I am a competitor and I trained to compete with the best. I do not want to fall short on my training when I still have the time to train. Education is training of the mind and I need to be able to compete at the highest level that is afforded me. If I am educated at this level, I will be able to uniquely reach out to others in my community and express how just by working through education they too can make a difference in their lives and the lives of their family as well as the community. I volunteer in my community and many look at me as one of their leaders. But with this added level of education I would rightfully be among the top peers that lead the community.